After years and years of medical problems, Jessica Smith dropped 116 pounds in 10 months while turning to powerlifting to put her life on a healthier track. 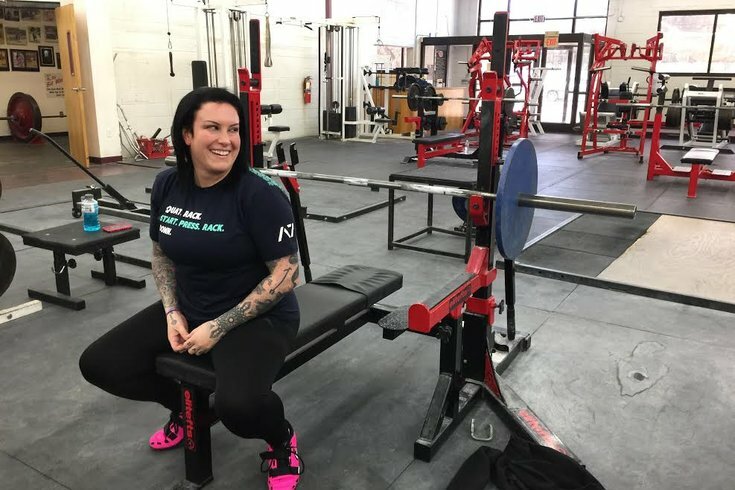 Inside Pulcinella’s Iron Sport Gym – a Chester Pike establishment billed as “Delco’s 24 Hour House of Power!” – Jessica Smith recently got to talking about a life that’s required more hospital visits than she can count off the top of her head. The latter comes from a sport she's recently picked up; the former derives from a passion developed when she was a little girl. These biographical facts aren’t as divergent as one might think, as she explained over the course of an hour at the old-school Glenolden gym founded in 1995 by former powerlifter, professional strongman and Highland Games competitor Steve Pulcinella. That sentiment becomes obvious as the 32-year-old shared the details of a life that once saw her fearing for longevity, but now has her on the path toward accomplishment in a sport – powerlifting – that many of her gender eschew, but some have started to embrace. Born and raised in Drexel Hill, Smith graduated from Downingtown East High School and studied sport and exercise science at Immaculata University in Malvern. From there she's serving as the organization’s state chair for Delaware, and working with an elite dance company in Broomall, a path that was anything but easy. She’s explained that she’s undergone two hip-replacement procedures, suffers from a rare cardiac rhythm disorder called Wolff-Parkinson-White syndrome and underwent a full hysterectomy due to endometrial cancer. And there have more medical concerns. “Two emergency C-sections because both babies were two months premature,” she added, noting that it doesn’t bother her to share such personal details. “I’m very open about my health issues with all my athletes, friends and the public. What Smith has done despite those laundry list of maladies is beyond impressive. She’ll compete in the Delaware State Championships on April 7 – "I am on schedule to break several state and American records,” she claimed – and the bench-press nationals in South Dakota in August, which could stake a path to international competition. Later this year, she’ll run a powerlifting meet at Preston and Steve’s Campout for Hunger. She’s a coach, referee and Delaware State Chair for USA Powerlifting, which is the gateway for the Olympic-level International Powerlifting Federation. In other words, she does a whole heck of a lot. “I’m basically one of the strongest in the state!” the owner of The Iron Line Powerlifting declared, using a superlative earned through much hard work. She’d started coming to this gym because the health issues left her concerned for her future. After the hip replacements and other medical procedures, she had gained weight and lost motivation. She landed in the world of powerlifting, an athletic competition that doesn’t attract very many female competitors. Of the 12,000 members of the federation, just 4,000 are women, she said. That disparity tends to steer females away, a trend she hopes to change by sharing her story. 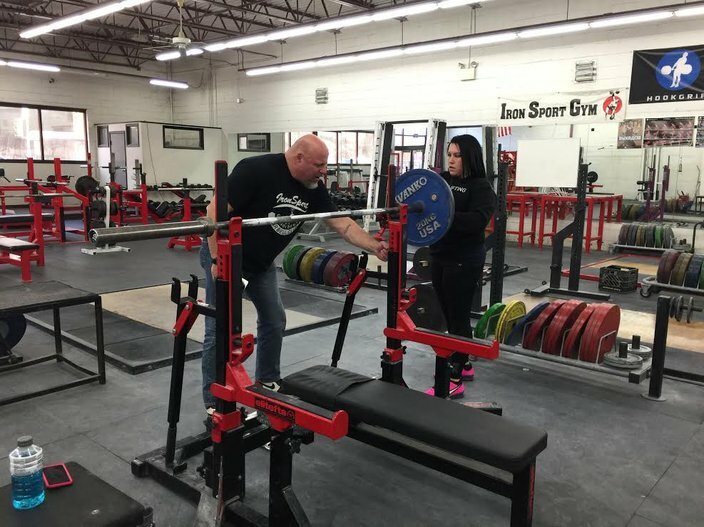 Jessica Smith and Steve Pulcinella inside Iron Sport Gym, a powerlifting hub in Delaware County. The upcoming competition will be her third. Last time, she finished dead last in her weight class, but she’d undergone surgery just six weeks earlier, so she wasn't discouraged in the least. She’s cagey about sharing the exact amount of weight she can lift, not wanting to tip off competitors. “I don’t feel the need to do that,” she said. He jokingly referred to Smith as the gym’s “Frankenstein,” thanks to her voluminous hospital visits, but smiled when recalling the time she brought her newborn with her to the gym just a week and a half after delivery. Women interested in getting involved in powerlifting should reach out to another woman with experience in the sport, said Smith, adding she didn’t and it set her back a bit. Pulcinella has noticed more women getting involved with the sport that’s long consumed his life, as well. “A long time ago, it was a fringe sport, but it’s much easier to get involved now, there so much free – and good – information on websites, as long as you find the right websites,” he said. “You can teach yourself. It’s scale-able to everyone. If you can lift 100, if you can lift 50, there's a place for you. It’s not like the NBA when you have to be seven-feet tall. There are 8-year-olds and 89-year-olds doing this. Everyone can compete. 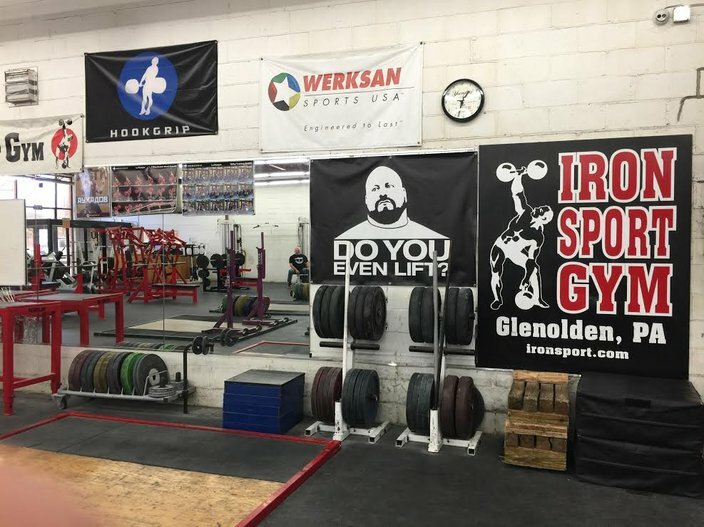 Steve Pulcinella, a former powerlifter, professional strongman and Highland Games competitor, opened Iron Sport Gym in 1995. All it takes, he said, is breaking down initial fears. “People can be afraid when they’re just getting started. ‘Will I get bulky?’ If a woman contacts the right person, the barriers just break down,” he said. “Lifters here are friendly. It’s inviting here. There’s nothing to be scared of. Just walking in several years back helped Smith turn her life around. Sure, dancing helped her lose weight and wean herself off of insulin, but it also inspired her. “Powerlifting helped me mentally in the strongest way. I knew each time something went wrong healthwise that I had a physical goal to get back into shape,” she said. “It also helped me not only from a cardio aspect, but reminded me of my previous professional dancing career and how I could channel that winning spirit and energy into powerlifting.